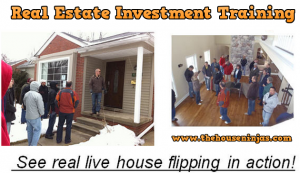 Real Estate Investment Training by The House Ninjas.We Offer Hands On Private Mentoring Training Course.If you want to start investing in real estate this is the program for you. Stop paying for redundant courses and mentor programs that only train you how to be the mentors best buyer. Expand your mind and become flexible and creative making you more money faster and giving you unlimited options to invest in. This program was created to help investors like yourself complete successful investment transactions in real estate as we walk you through and coach you in person.Our experience in buying and selling over 400 houses in the metro Denver Area will give you the tools and know how you have needed to take action. We would like to share this knowledge with you so CONTACT US for info on how to sign up. 25-30 houses a month for our wholesale business means we know how to find houses like no other. Learn how we find all these deals. Learn advanced strategies and secret formulas you have never seen or heard of and get ahead of the pack for real success. From the Basics of where to get it, what kind of funding there is and how to use it to your advantage to maximize profits. Gain Access to our treasure trove of hundreds of private money lenders, no other real estate investment training offers this. How to CONTROL your construction labor force and not let it dictate your deals. 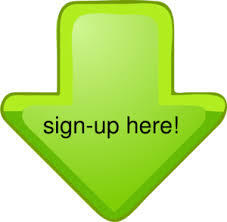 Full access to our huge list of contractors, tools, price sheets and action guides. How to work with project managers so you can focus on other aspects of the business and much much more. How to maximize your profits and market your properties upon resale. Pricing your property correctly for resale. Tools , Networking and advice from top local Brokers . How to FIND and BUY great rentals and build a top notch portfolio. Property Management training as well as equipping tools to know how to maintain the property. How to Wholesale Properties so many ways your head will spin with all the amazing knowledge we have to share. Personal time with a dedicated mentor as you wholesale your first property. One on One Coaching and Training in the field as well as 12 months of mentor oversight to make sure you stay safe and successful. If you want to read a book go buy one, we train in the field by doing deals and making money. We will add that extra layer of security to make sure you can be successful and help you to avoid bad Investments. Experiential Knowledge is the best Knowledge for success! DO NOT MISS OUT ON THIS UNIQUE OPPORTUNITY TO BE A TREND SETTER NOT ANOTHER FOLLOWER. WALK AWAY FROM THE OVERPRICED COUNTLESS DEAD MENTOR PROGRAMS THAT PUT YOU IN A BOX AND BREAK FREE AS YOU BECOME A MASTER OF YOUR PROFESSION. LIMITED TO 12 STUDENTS PER SESSION.